The French space agency CNES has announced that the Convection, Rotation and Planetary Transits (CoRoT) satellite is on its last legs. The satellite suffered a computer failure on November 2. 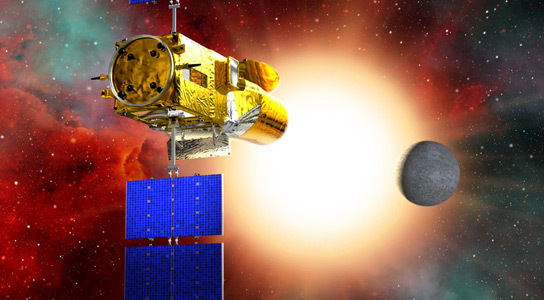 The spacecraft is still functioning, but it can no longer retrieve data from its 30-centimeter telescope, which has spotted expolanets by looking for transits, a dimming in the brightness of stars as a planet crosses its path. 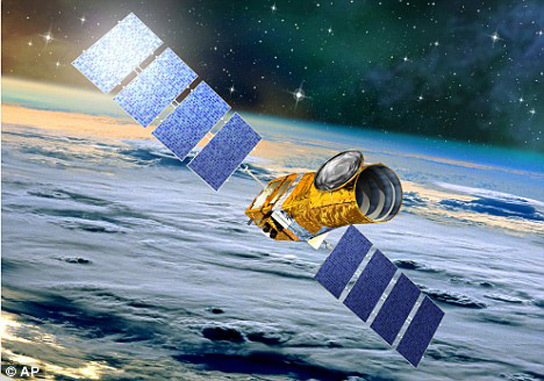 An illustration of the Corot satellite in space. CoRoT was launched in 2006 and had been monitoring thousands of stars. In 2009, the satellite survived its first computer failure by relying on a second, redundant unit. The team has tried to reboot the second computer many times, but have been unsuccessful. The engineering team hasn’t given up yet, and sometime in December, they will try to reboot the first computer using an alternate power chain. The CoRoT space mission has discovered 31 new exoplanets, including five new ones that will be described in a new paper. There are also some 200 candidate exoplanets that haven’t yet been confirmed. CoRoT had already doubled its three-year design life, and was about to embark on another extension. CoRoT was the first space mission to discover new planets using the transit technique. With its smaller mirror, it was never a match for Kepler, which has discovered some 3,000 candidate planets. CoRoT discovered that red giant stars oscillated in a way that theorists had not expected, giving astronomers new insight into the structure and evolution of aging stars. It also discovered CoRoT-7b, a rocky planet 1.7 times the diameter of Earth, which was the first in a whole new category of exoplanets, called super-Earths. CoRoT has been flying in a 900-kilometer polar orbit, and has had to cope with high doses of radiation and seesawing temperatures as it crosses in and out of the Earth’s shadow. In comparison, Kepler drifted further away from Earth in its own orbit around Sol, a much cleaner radiation environment. Be the first to comment on "CNES CoRoT Satellite Suffers Computer Failure"